What time is it Mr. Wolf? Wolf Run time. It's time to get muddy and it's time to have fun. 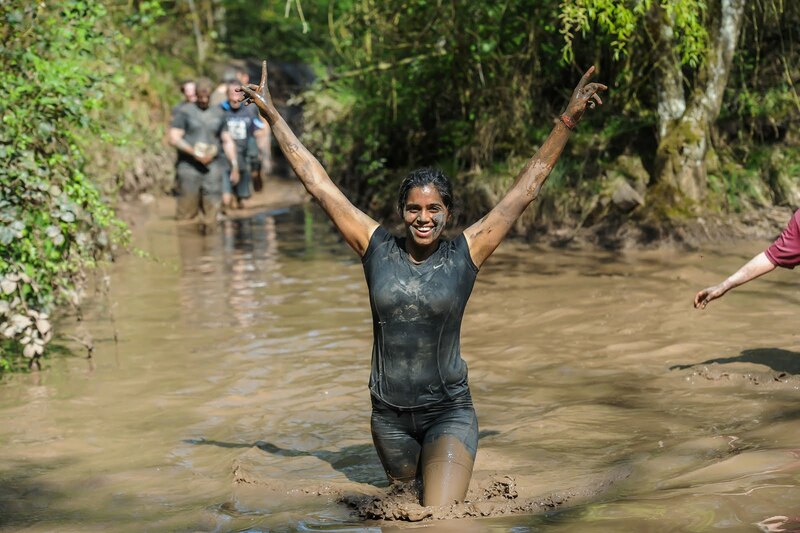 I remember the first obstacle course race (OCR) I did last year, and the slight nerves at the back of my mind on my train journey to the event. I had no idea what to expect or if I would like it. 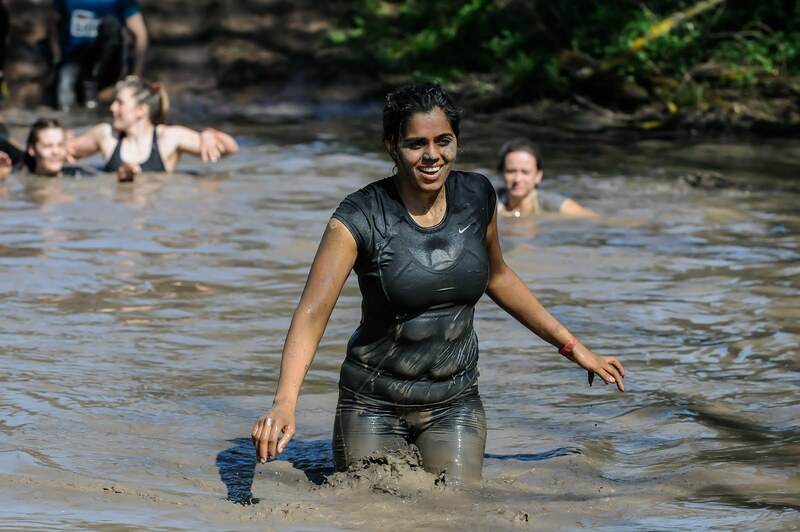 What I had been looking forward to the most was getting myself absolutely covered in mud, but because some of the mud-based obstacles had been closed off during the event, I never really got to experience the muddy side of an OCR. But what I've found with OCRs is that they're like Pringles: once you start, you just can't stop. 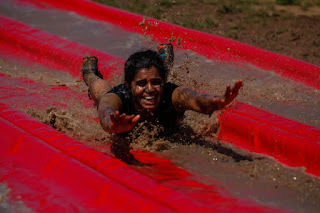 I know that some people get scared of doing an obstacle course race, and I completely understand. It's so different from normal running and there's the fear of "what if I can't tackle the obstacle?" But let me tell you a secret: I get scared and nervous before any of my races, obstacle course race or not. By attempting it, you're already winning. That fear might just be your body's way of telling you, in a weird way, to go try it out. What I would say is that during your training in the lead up to an obstacle course race, do a lot of natural movements. For Wolf Run, box jumps, bear crawls, crawling under or jumping over objects are really useful exercises to incorporate. The more you get comfortable doing these exercises, especially bear crawls, the more confident you'll be on race day because a lot of the obstacles incorporate them. There's a whole community feel at obstacle course races, which makes them so much less intimidating. During the running elements of Wolf Run, I had conversations with so many random people - a difference to 'normal' running races, where conversations just don't happen mid run. If you need help with an obstacle, fellow racers will help you out, without you even asking. 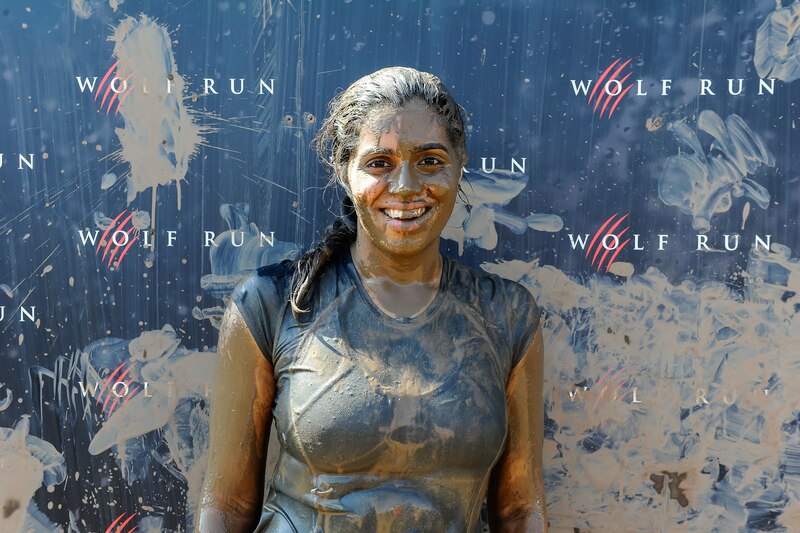 At Wolf Run, it's like you are running with a wolf pack - we're all there for each other, even if you've entered the race as, a lone wolf like I did. 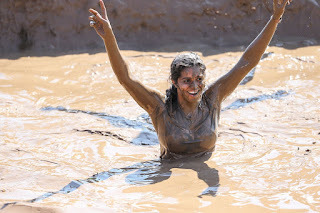 What I noticed at Wolf Run was that at each obstacle, if you couldn't do it, no penalties were issued (like penalty burpees at Spartan races). So if you are worried about a penalty burpee, don't be worried at Wolf Run- if you don't complete an obstacle, just move on. 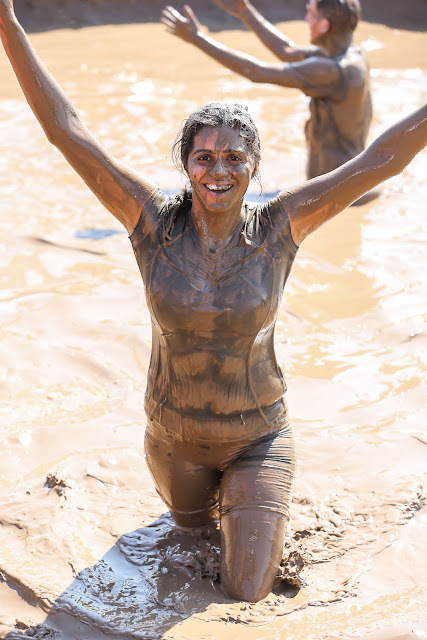 For me, there are two types of obstacle course races; those that are more strength-based (with obstacles like monkey bars) and those that are more mud-focussed. Wolf Run falls into the second camp. I'm not going to say the obstacles were easy, but they were less challenging than those at Dirty Dozen (now no longer running) or Spartan Beast. But, I don't mind that, because the course is centred more around enjoyment than showing off strength. If anything, it's more about showing off how muddy you got, even after walking through a murky lake. To feel more comfortable during the Wolf Run, wear lycra. Cotton will weigh you down, especially if you choose to complete the obstacle that involves swimming in a lake. The water was absolutely freezing that day and the marshals actively encouraged those who were not strong swimmers to run around the lake instead of swimming through it, to avoid hypothermia. With an ambulance pitched at the other end of the lake, I really liked the responsibility the organisers were taking to ensure safety for everyone. But back to lycra: wearing cotton for any of the water-based obstacles will not do you any favours, especially if it's a cold day. It will take longer to dry so buy some moisture-wicking lycra. Lycra will make you a winner. Running on farmland is a little tricky - at Wolf Run the ground was uneven and loose in some places so trainers, specifically ones designed for trails, are what you need. The amount of muddy trainers people threw in the bins after Wolf Run really shocked me -if you have a good pair of trainers, like my Innov-8 X-Talon 200, bring a black bin liner with you and pack your shoes in them, then clean them at home. The last few miles were the probably the best. We walked knee deep in mud/water, crawled through tunnels, climbed over walls and up the cargo net climb and slid down the famous red slide. Saving the best until last is always good! And then the end is near. You can see the end, so close, so close. But hold on. Do you really think it is going to be that easy to get to the finish line? You're at an obstacle course race - everything has been planned to make you work for it, and that includes the right to cross the finishing line. Tackle just a few more obstacles I promise. And when you get to the end, put your hands up in the air and rejoice. 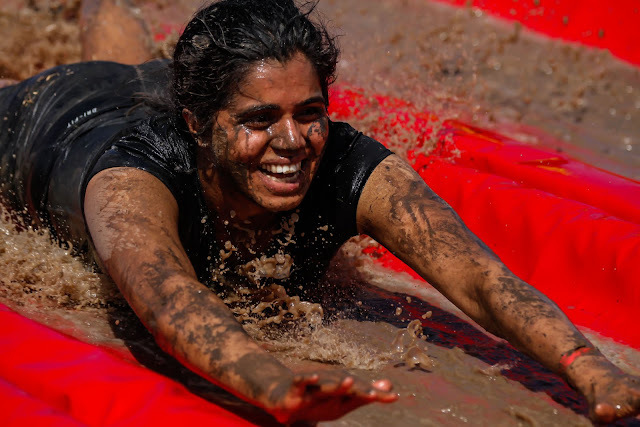 You have just tackled your fear of an obstacle course race head on. Go get 'em tiger. Be proud of that mud. You worked damn hard for it. Get a few after shots of your muddy self and then head over to the hose pipes and hose off all the mud. 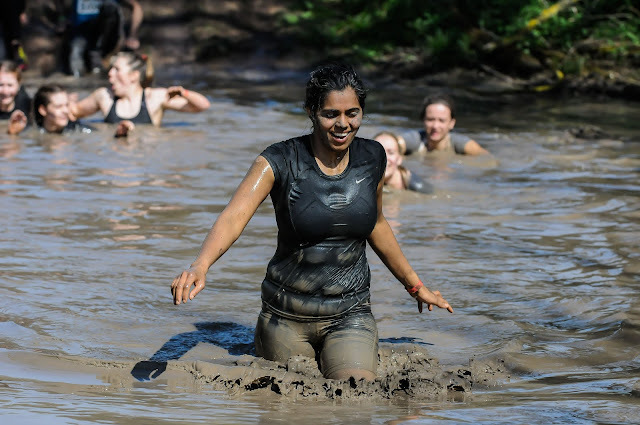 Bring spare clothes, shoes, underwear and spare bags to put all your muddy gear in to Wolf Run. Every inch of you will be covered in mud. Ladies, wet wipes are also handy to remove mud under your sports bra when you get changed. 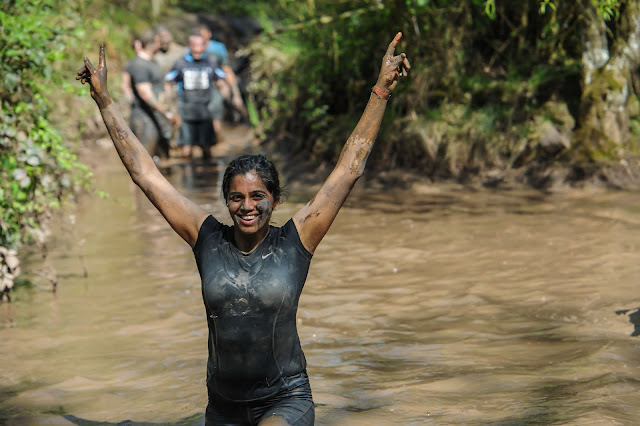 Will you dare to run the autumn Wolf Run? Wolf Run invited me to participate in their Spring event. All opinions are my own and there are no affiliate links in this post.